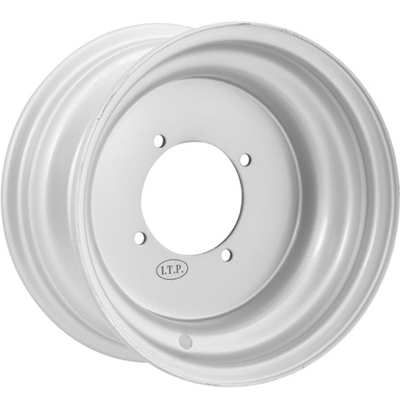 ITP's OEM replacement silver steel wheels are durable and inexpensive. They are available in 8" to 10" diameters. ITP Silver Wheels use standard flat base lug nuts. The above part numbers are listed for your reference only to show all wheels available. Not sure about your particular bolt pattern, click here.